Upcycle: Old jeans, new top, chop chop! 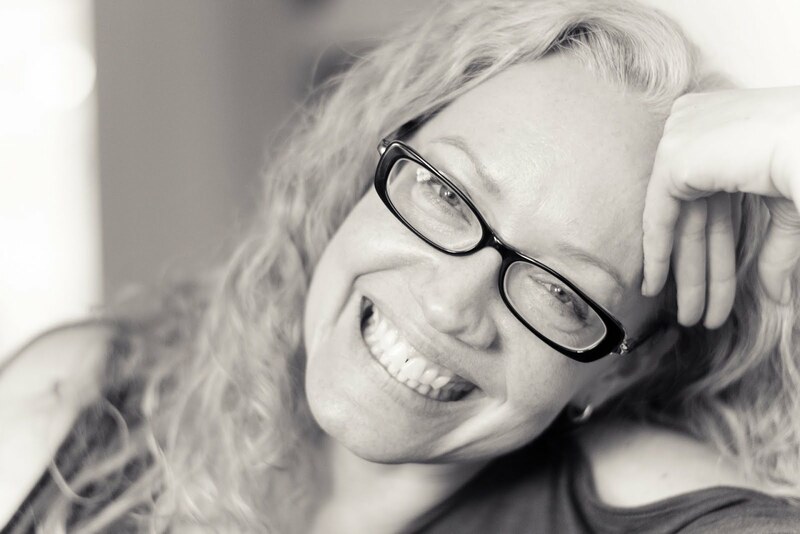 I heard a great story on NPR yesterday called The Global Afterlife of your Donated Clothes. Do you know that 80% of the clothing donated in the US is carted off by textile recyclers? That's about 3.8 billion pounds of clothing every year! Big number right? Now get your head around this number: About 85% of all the clothing sold every year is not donated - it ends up in landfills. In the US, we are habitually buying cheap clothing that doesn't last. Then we're throwing it into a dumpster. Or, if we're going to the trouble of donating it, most has to be turned into insulation or industrial wipe cloths. Why? because it's so badly made, they won't even take it to the "needy" over the sea. Apparently there's high demand for used clothing around the world but guess what? It has to be decent quality and we're contributing less and less "quality" clothing. Ok, rant over. Buy less. Buy quality items that will last. 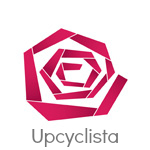 Donate and upcycle whenever possible. 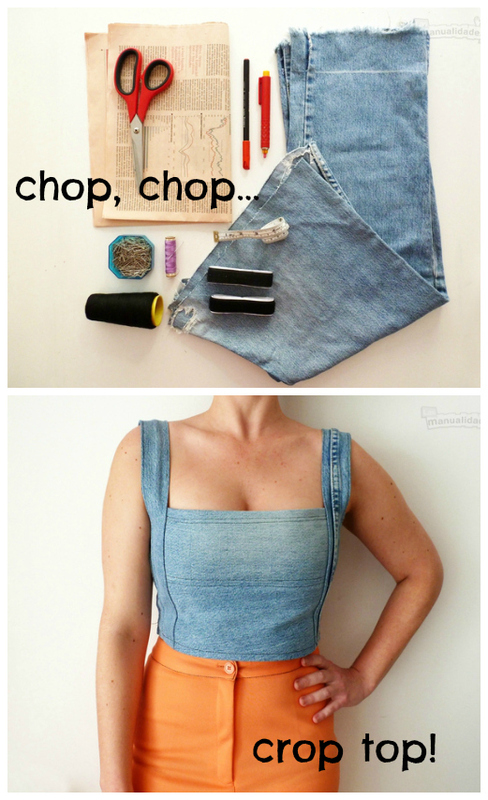 Instead of throwing out your old jeans, turn them into a crop top, chop chop! 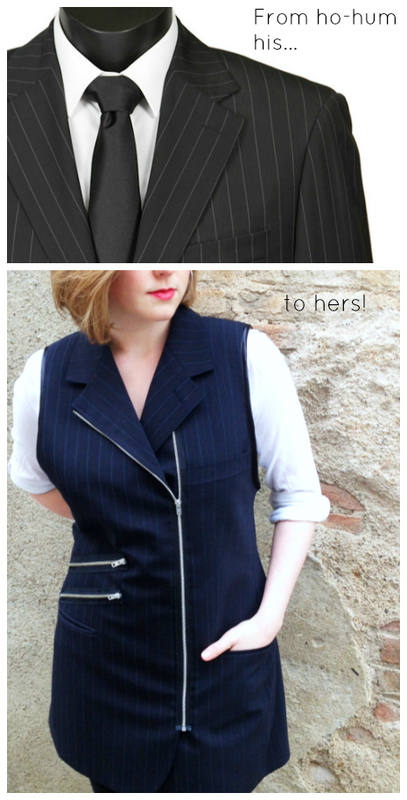 Repurpose: Staid suit jacket gets a hot refab! 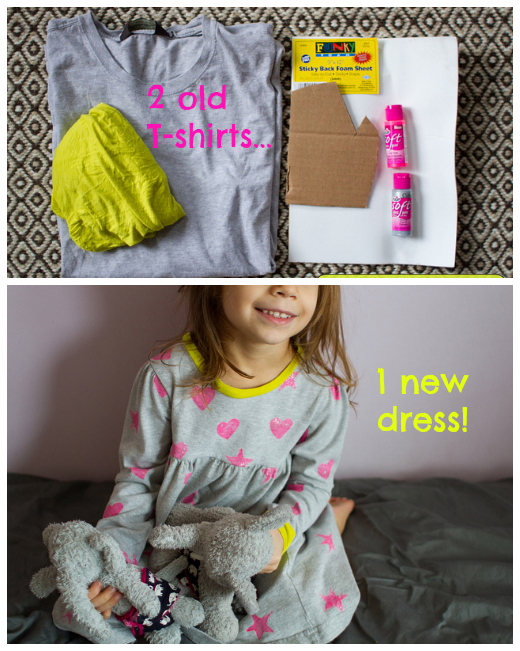 Upcycle: Grumpy old shirts into a cheerful dress! The heat is on in Chicago this year! And yes, I have summer clothes. But not enough of them (!) and... I kinda, sorta, hate most of what I have. So I've been thinking of ways to chop up old skirts, stained tank tops, too-big-for me shorts. This means I've been looking around and now I'm really inspired! The DIY empire-waste dress above is from TripOverJoy. She added fresh fabric to an old tank. Not sure I'm the right shape to pull of a little dress like this, but her finished product looks awesome on her! 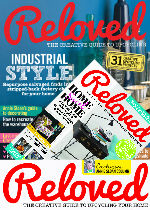 Read on for another 20 projects.